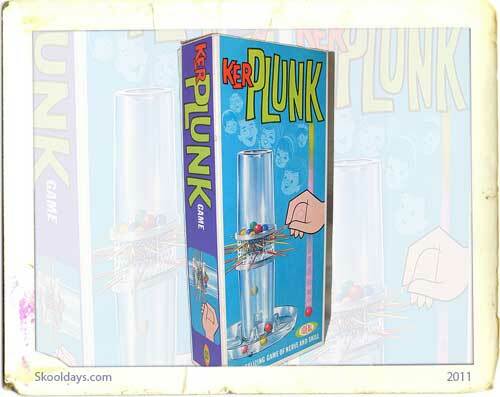 KerPlunk is a game first marketed by the Ideal Toy Company in 1967. It consists of a plastic tube, a number of plastic rods called straws and a number of marbles. The plastic tube stands upright on a base that contains four separate trays and the straws are passed through holes in the side of the tube to form a “web”. The marbles are then placed in the top of the tube and held in place by the web. At the start of play, the entire tube is rotated so that a hole in the base of the tube is aligned with the active player’s tray. Players take turns removing a single straw from the cylinder while trying to minimize the number of marbles that fall through the tube and into their tray. Once a player has committed himself to a particular straw by touching it, they must remove it. 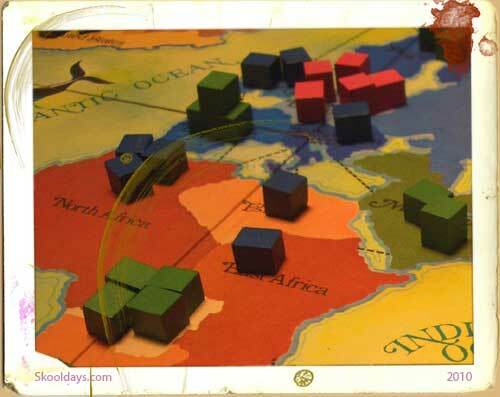 The player who accumulates the largest number of dropped marbles loses. The onomatopoeic name of the game derives from the sound of the marbles tumbling to the base of the cylinder when a straw is removed. 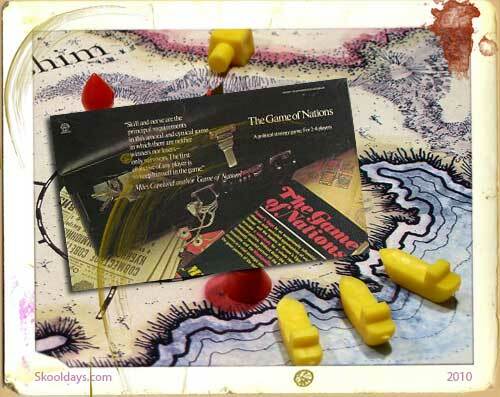 The game is still available today, manufactured and marketed by the Milton Bradley Company in the UK and by Mattel in the USA, although the modern version uses a pink tube rather than the original amber-colored tube. What made this game a winner was the element of suspense. 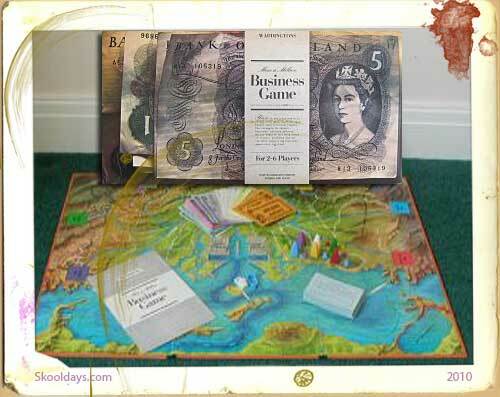 If you brought it to school on the last day of term, monopoly and cluedo would soon be discarded and the whole class would sit round whilst the players took turns to draw straws. 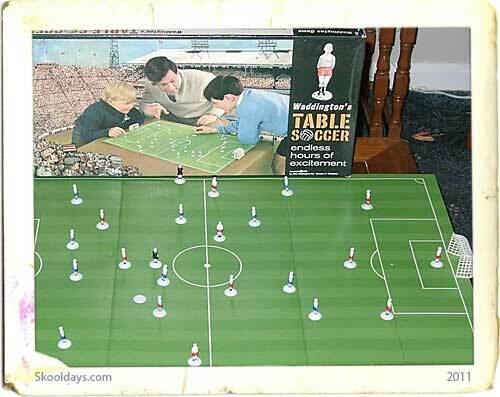 As the game progressed, any falling marbles would elicit louder and louder screams from the class until finally authority would step in, confiscating the game until 'home time', ordering 'hands on heads', whipping out the sugar paper and crayola and ordering the class to 'draw!' as if they were at the Ok Corral. One of my Favorites! 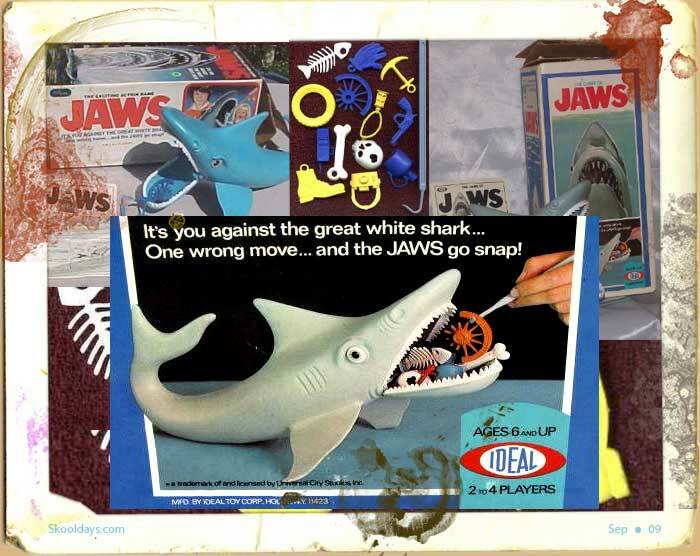 I got it at my 7th or 8th birthday party (exactly like the box in the picture), and we played it for years! 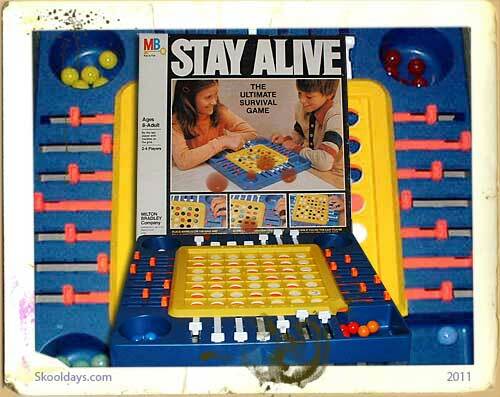 You could even play it by yourself.